Current transport systems do not sufficiently take into account physical and social characteristics of women in the design of products and services, and in fostering women’s employability in the industry. Technologies such as data mining and analytics, together with the use of elicitation techniques to gather and analyse information from different stakeholders, allow the generation of actionable knowledge for addressing gender-specific needs for transport decision-making, planning tools and methods. DIAMOND will exploit such technological advances and innovations, to (i) analyse real-world scenarios where these open issues exist, and (ii) take concrete action, to create a fair and inclusive transport system. DIAMOND’s main goal is to turn data into actionable knowledge with notions of fairness, in order to progress towards an inclusive and efficient transport system. This objective will be achieved by the development of a methodology based on the collection and analysis of disaggregated data, including new sources, analytics and management techniques. Thus this allows to identify, design and evaluate specific measures for fulfilling the needs and expectations of women as users of different transport modes and as jobholders in the sector. The knowledge gathered in the data analysis will then be fed into a toolbox that will provide recommendations on how to achieve fair inclusiveness for women in each of the identified use-cases. Interdisciplinary analysis combining methods from social sciences and computer science will contribute to fairness of the model and its results (i.e. condition of being free from bias or injustice). To proof actionability, this project will make concrete advances in four real-world scenarios (use-cases) where inclusiveness is currently a central issue: 1.- railways and public multimodal transport, 2.- Vehicle Dynamics control towards autonomous driving, 3.- vehicle sharing and 4.- corporate social responsibility and employment. Parking management should be an important part of sustainable urban mobility planning (SUMP) but unfortunately, it is one the most underdeveloped segments. Most EU member states lack national level policy and guidance on parking. PARK4SUMP aims to change this, because good parking management has proved to be of utmost importance. It frees the public space, supports local businesses, reduces search travel, generates revenue, increases safety, supports urban planning and can make cities more attractive. The general concept is to take the very best parking management examples, contexts and expertise in Europe, learn and profit from these, and transfer them on a large scale and in the best way possible to new cities . This covers raising awareness and gaining acceptance among relevant stakeholders; building capacity, particularly among cities that have difficulty in picking up such policies; stimulating further innovation; and achieving wide roll-out and transferability. Park4SUMP will work on traffic and travel avoidance; it will support less car dependent lifestyles and put into practise innovations in planning and location policy. It will also optimise the use of existing infrastructure. Furthermore the modal shift towards more efficient modes like walking, cycling and public transport will be encouraged. Convincing arguments to incorporate parking management can be given : it has low costs, it pays for itself, it delivers money, it is easy to implement and to modify and it can be done in incremental steps. The main expected impact will be cities with strongly improved parking policies that are creatively used to improve the quality of life and business in cities and develop the cities in a more sustainable way. Park4SUMP aims to establish parking management as an essential part of SUMPS of its leading, follower and external follower cities. Park4SUMP will deliver behaviour change whilst generating revenue. PROSPERITY is an Horizon 2020 project in the CIVITAS family of projects on sustainable urban mobility. It aims to enable and create a culture shift in government agencies and local authorities to support Sustainable Urban Mobility Plans (SUMPs). The project focuses on promoting and supporting a broad take-up of SUMPs especially in countries / regions and cities where the take up is so far so low. It aims to achieve this by providing mechanisms and tools for national / regional agencies to take a leading role in the development of SUMPs; and building professional capacity through peer-to-peer exchange programmes and tailor made training programmes on various aspects of SUMPs and/or innovative approaches in sustainable urban mobility. This project has received funding from the European Union’s Horizon 2020 research and innovation programme under grant agreement No 690636. This project is to assess the feasibility of making continental style zebra crossings legal on Scotland’s roads and to test their impact on pedestrian safety, attitudes and experience. Scotland provides a good testing ground for new initiatives that could eventually be taken up by other parts of the UK. If the evidence shows that continental-style zebra crossings are feasible and desirable in Scotland, then this research would therefore have UK-wide application. The study aim is to investigate pedestrian crossing behaviour at high accident rate locations in urban areas in Doha by developing an in-depth understanding of pedestrian’s interaction with each other and with motorised traffic. The investigation will model pedestrian crossing behaviour at 24 junctions and mid-block locations with different characteristics (e.g. road speeds, pedestrian volumes and traffic control measures). The study design includes a literature review, video recording and data extraction, statistical analysis and simulation modelling using VISWALK PTV software. It is anticipated that the findings will provide guidelines to improve existing simulation models. In addition, recommendations will be made towards policies to improved pedestrian safety and reduce accidents as well as improving the crossing environment for pedestrians. It has been estimated that the annual cost of traffic accidents in the Kingdom of Saudi Arabia (KSA) exceeds 6 billion US dollars, in addition to other social, health, and economic impacts, such as disability, rehabilitation, and unemployment due to traffic accident injuries. Tabuk city KSA, has a high accident rate. There are not many studies, if any, in Tabuk for the investigations and development of a framework for accident reduction. The main aim of this project is to propose a framework to study, assess and enhance accident data collection and analysis in KSA. A proposed framework for accident reduction by integrated processes will include risk identification, risk assessment and risk reduction processes. If implemented, the proposed framework will improve data collection processes and analysis and will identify the hot spot locations, along with accident severity. Provision consultancy services and technical support to the City of Edinburgh Council in preparation of new Street Design Guidance for Edinburgh. 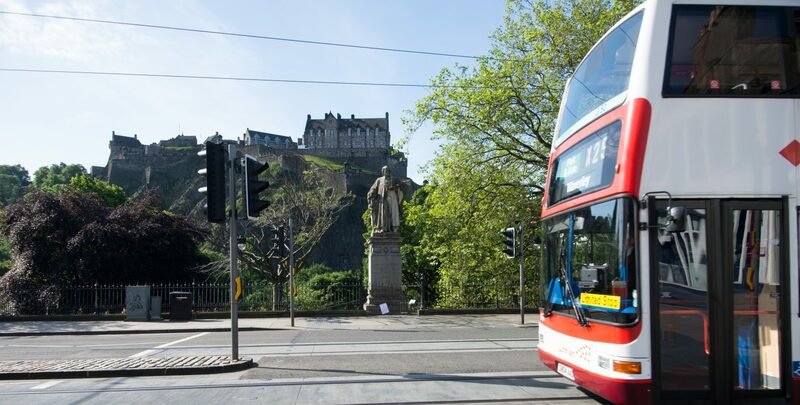 Nazan Kocak has been supporting the City of Edinburgh Council on the Edinburgh Street Design Guidance in relation to its detailed technical manual (Factsheets). In addition to this, Nazan is developing a training programme for the Council staff with regards to the Guidance’s general and specific application on the existing and new Edinburgh streets. Research to evaluate and determine parameters and values for Stopping Sight Distance (SSD), Full Overtaking Sight Distance (FOSD), superelevation and transition values for current and future highway design for inclusion in a revision of the UK Design Manual for Roads and Bridges, Volume 6, TD9 Highway Link Design. SUNRISE will develop, implement, assess and facilitate learning about new, collaborative ways to address common mobility challenges at the neighbourhood level. Towards this aim, 6 cities will foster collaborative processes in specific neighbourhoods as “Neighbourhood Mobility Labs” with the explicit mandate to implement innovative solutions for and with their residents, businesses etc. SUNRISE rests on several pillars: A) Utilisation of neighbourhood-specific opportunities. B) Co-creation of solutions, i.e. through strategic civic-public alliances C) Socio-technical nature of solutions as combinations of services, social arrangements, rules, technologies or small infrastructures etc. D) New forms of synergies between bottom-up and top-down. All SUNRISE activities are structured along the following phases of the innovation chain: 1) Co-identification of mobility problems; 2) Co-planning / co-selection of solutions; 3) Co-implementation of solutions; 4) Co-evaluation; 5) Co-learning and uptake. The SUNRISE action neighbourhoods will use a blend of proven state-of-the-art online and face-to-face participation techniques and will establish longer-term collaborative forums. These will systematically involve citizens, businesses, NGOs, local authorities, academics etc. – always with a view to also involve under-empowered sections of the population like migrants, women, older and young people. Alongside the mobility benefits for the action neighbourhoods, the project will result in a suite of products – most prominently the SUNRISE Neighbourhood Mobility Pathfinder – which will be provided to European cities, their stakeholders and citizens through a powerful exchange process to inspire and inform change across Europe. This will include a group of 20 Take-Up neighbourhoods and various city networks in cooperation with CIVITAS. This project involves the research and development of novel systems to recover and re-distribute energy in food processing and manufacturing premises, especially where there are demands for refrigeration and heating on-site and localised. The project also aims to optimise the production of heated water as a process requirement for heating, cleaning or sterilisation, by re-cycling both the waste heat and treating the waste water stream, so that it may be recoverable and re-cycleable. The user industry attraction will be local energy recovery for useful purposes, including water supply streams. Treatment of water itself for recycling is an additional attraction reducing external energy, resource treatments and requirements. The proposed developments may be applied within an industrial complex that can provide source and “sink” needs, or interbusiness or community to other industrial or domestic premises. This approach therefore minimises the industrial consumption of energy and diverts it to other localised energy users, which could be a range of uses, such as aligned similar site or other local heat consuming processes or domestic or office localised heating needs.